Abstract: Class III malocclusion represents a growth-related dentofacial deformity with mandibular prognathism in relation to the maxilla and/or cranial base. Its prevalence varies greatly among and within different races, ethnic groups, and geographic regions studied. Class III malocclusion has a multifactorial etiology, which is the expression of a moderate distortion of normal development as a result of interaction between innate factors or genetic hereditary with environmental factors. Various skeletal topographies of underlying Class III malocclusion are due to discrepancy in the maxillary and mandibular growth along with vertical and/or transverse problems apart from sagittal malformations. 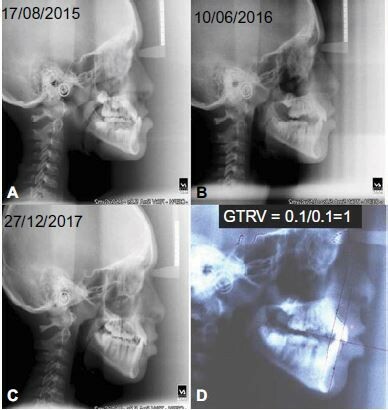 The spectrum of complications for Class III malocclusion ranges in gravity from dentoalveolar problems with functional anterior shift of the mandible to true skeletal problems with serious maxillomandibular discrepancies, which makes its diagnosis highly challenging in growing children. Concern regarding early treatment and the need for interceptive care in the case of Class III malocclusion has always been a dilemma, knowing that not all problems will be solved in these cases until maxillomandibular growth is further completed, and the long-term outcome of various treatment approaches may depend on the growth tendency of an individual. Interceptive treatment of Class III malocclusions should be undertaken if it prevents damage to the oral tissues and/or significantly reduces the amount or severity of future orthodontic and surgical interventions. This paper presents an overview of developing Class III malocclusion, with the emphasis on challenges and their solutions based on the best current available evidence.